Can you believe it’s already NOVEMBER?! I definitely can’t. But the fact that it’s November means Christmas is on the brain. I’m on the ball early this year. In this post, I’ve handpicked my favorite finds in every category for a healthy and blessed holiday season. I bought these sheets this year after hearing about them on Gretchen Rubin’s podcast. I really like them- they are definitely worth the hype. Having organic cotton in the bedroom is really important- when your body is asleep, it’s trying to detox. You don’t want to overwhelm your bod with lots of toxins and pesticides while it’s asleep because it’ll shut down detox. So choose organic materials for your bedding & mattress whenever you can. I keep my beauty routine REAL by using Beautycounter products, taking supplements, and treating my body from the inside out. 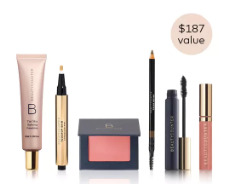 Beautycounter is my favorite makeup and skincare brand because it combines high performance with safety. You don’t need to sacrifice your health for beauty! 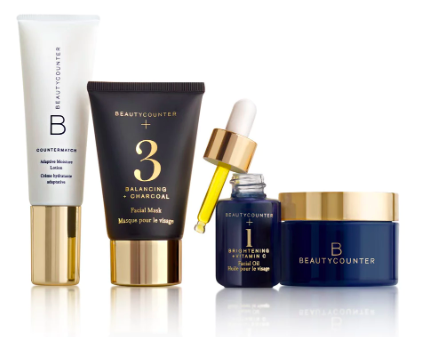 This is my favorite of the Beautycounter holiday skincare sets. You’ll get to try my holy-grail Cleansing Balm (this size should last you 3 months or so- a little goes a long way! ), Countermatch Adaptive Moisture Lotion, the cult-favorite Charcoal mask, and a brightening facial oil (great for age spots and discoloration!). This isn’t a holiday set but it is an AMAZING value. You get a full-size foundation, blush, mascara, brow pencil, and lip gloss. The best part is that you get to customize what your Flawless in Five set looks like- you pick all the colors/varieties. Make sure to try out the Volumizing Mascara- that’s my favorite! I’m actually giving this essential oil & the diffuser as early Christmas gifts to friends and family so they can enjoy diffusing throughout the holiday season! It smells AMAZING because of the orange, cinnamon bark, and spruce essential oils. Don’t wait to purchase- the large size is already sold out! 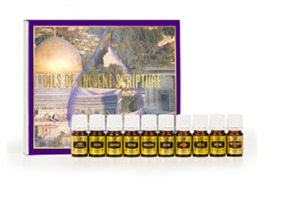 This set contains 10 of the oils mentioned in the Bible, from Frankincense and Myrrh to Sandalwood. A great way to further immerse yourself in Scriptural inspiration. For a bonus, you can purchase the Healing Oils of the Bible book HERE on Amazon to help your gift receiver use these oils! If you’re plateauing in your exercise routine or just need something new to mix things up, I highly recommend “the shaker”. It provides the benefits of 30 minutes of exercise in just a 10-minute session! You can buy my shaker HERE on Amazon. You can learn more about the weight loss & energy benefits in my blog post HERE. The Joovv is my new favorite health contraption and it has quickly won my husband’s approval as well! Ever felt wide awake after picking up your phone in the middle of the night? There’s a good reason for that- light matters! The blue light emitted by your phone (which is naturally only emitted in broad daylight!) is picked up by receptors in your skin and eye cells. This sends a signal to your brain saying “it’s time to wake up!”, which makes you feel wide awake even at 2AM. So how does the Joovv work? It provides high amounts of types of light that we don’t get nearly enough of in our indoor-dwelling, sunglasses-wearing, hat & sunscreen-crazy society. To give you the quick summary, receptors in your skin and eyes pick up the red and infrared light. The Joovv’s red light is most beneficial for skin health and collagen production. The Joovv also puts out infrared light which penetrates deeper leading to increased energy, muscle recovery, improved athletic performance, and relief from joint pain and arthritis. It does all this by stimulating your body’s energy factories- the mitochondria- which live inside each of your cells. How cool is that? Plus you get health benefits on the inside & on the outside. It truly feels like you are recharging your cellular “batteries” when using the Joovv! You can learn more & purchase a Joovv via their website HERE. I have a duo panel- it is pricey but the warranty is great and the benefits are amazing. Even my husband raves about it! Raddish is a cooking club for kids- think of it as a majorly upgraded BlueApron or other delivery service. It allows your kids to learn about cooking and eating in a safe, fun environment. My kids love Raddish! You can check it out HERE. One of my absolute favorite cookbooks, especially for the holiday season. I’ll be making the gingerbread latte, eggnog, roasted Brussels sprouts with bacon jam and cranberry gingerbread cake this year. Check it out on Amazon HERE. Switching out your aluminum cookware for healthier options can do amazing things for your health. I always recommend either ceramic, cast iron, or stainless steel. Cast iron and stainless steel are a bit more high maintenance, so I tend to prefer ceramic. I’ve linked a set with a 7” and 10” pan at a reasonable price (just over $30) to get you started with healthier cookware. Oh Instant Pot, how I love thee. Let me count the ways! I use my IP for hardboiled eggs, quick weeknight meals, rice, and more! It is truly the kitchen jack-of-all-trades. Take a look at the reviews and see for yourself. A faith-based gift is an amazing way to remind your family members and friends (and yourself!) of what is truly important this season! Put God first, and keep the hustle and bustle of the holiday season in its place. 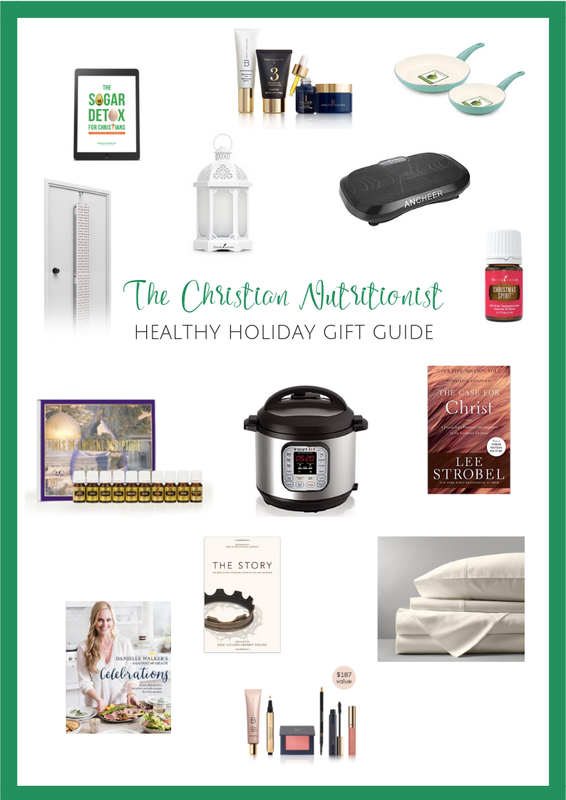 This is the perfect gift for your family member or friend who is struggling with their nutrition and wants to invite the Lord into her health journey. Why is this different than any other sugar detox? We saturate ourselves with real food and His goodness. If you're ready for a change in spirit, mind and body...then The Sugar Detox for Christians is for you. You can purchase SDFC HERE. The Story allows you to understand Biblical truth as it occurred, in chronological order. It’s a great option if you have a New Year’s goal of reading the whole Bible. I’m reading it now & it’s so fascinating. You can purchase The Story HERE. The Case for Christ by Lee Strobel is another great read that I’m actually gifting to several family members this year. A journalist investigates the evidence for Jesus and is surprised by the results. I think you’d love it! You can check out The Case for Christ HERE. I hope this guide was helpful for you in deciding on those holiday gifts. Don’t forget to click one of the sharing buttons below and let your facebook friends know! Let me know what you think in the comments and you’ll be in the running to win one of the gifts from the list. I’ll be sending it to the lucky winner at the beginning of December!